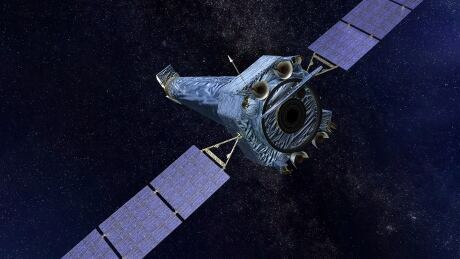 At ~9:55 a.m. EDT on Oct. 10, 2018, NASA’s Chandra X-ray Observatory entered safe mode. Analysis indicates the transition to safe mode was normal behavior for such an event. All systems functioned as expected and the scientific instruments are safe. Hubble went into hibernation on Oct. 5 due to a gyroscope failure. NASA said it's coincidental both went "asleep" within a week of one another. An astronomer who works on Chandra, Jonathan McDowell of the Harvard-Smithsonian Center for Astrophysics, tweeted Friday that "Chandra decided that if Hubble could have a little vacation, it wanted one, too." My leading theory is that Chandra decided that if Hubble could have a little vacation, it wanted one too. Launched by space shuttles in the 1990s, Hubble and Chandra are part of NASA's Great Observatories series. The others are the Compton Gamma Ray Observatory, which was also launched in the 1990s but eventually failed and was destroyed, and the Spitzer Space Telescope, launched in 2003 and still working. Each was intended to observe the cosmos in different wavelengths.